Announcement 1/7/2016: The Department of Statistics announces with deep regret the passing of Associate Professor Emeritus Alan Fenech on Sunday, January 3rd. Although Professor Fenech suffered a previous heart attack some time ago, his death last Sunday, at the age of 71, was nonetheless sudden and unexpected. Dr. Fenech did some of his undergraduate work in the Mathematics Department at UC Davis, but graduated with a double major in Statistics and History from UC Berkeley in 1967. 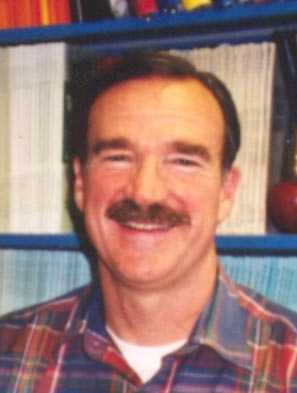 He did his doctoral work at Cornell University, writing a dissertation under the direction of Professor Lionel Weiss. He joined the Mathematics Department at UC Davis as an Assistant Professor in 1973 and transferred to the newly formed Intercollege Division of Statists as one of its founding members in 1979. He served as a tenured Associate Professor in Division of Statistics (later renamed the Department of Statistics) until his retirement in 2003. Dr. Fenech’s statistical interests included sampling theory and linear and generalized linear models and their applications. Several of his research papers in these areas were published in top-tier journals and are widely cited. He also wrote several unpublished monographs on special topics in these areas (for example, logistic regression), mostly for the benefit of his students. Throughout his academic career, he was active and generously available to UC Davis researchers as a consultant on the statistical aspects of their work. There can be no doubt that Professor Fenech’s most visible contribution to the campus was through his teaching. He was highly appreciated by his students as a caring and careful instructor whose lectures were viewed as clear, insightful and inspiring. Students who commented on his teaching always mentioned his commitment to their learning, evidenced both in his carefully prepared lectures and in his plentiful availability to them outside of class. Although Dr. Fenech was always modest about his accomplishments, his teaching evaluations over the years clearly documented the affection and reverence that his students had for him. Alan Fenech was a gentle, quiet person who was always open to conversation about personal and professional matters. He was often sought out for advice or simply for his thoughtful reactions to local, national and global events. To his colleagues in Statistics, and to many others whose lives he touched, he was thought of, first and foremost, as a dear friend. His professional expertise will certainly be missed, but his gentle spirit, his lovely sense of humor and the genuine friendship that he offered so freely will be missed most of all. He is survived by his loving wife Barbara Kieffer and by his brother Gene Fenech and his family.